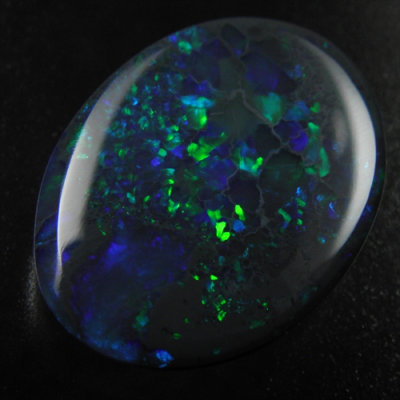 Very dark bodied black opal loose stone from Lightning Ridge, NSW, Australia. 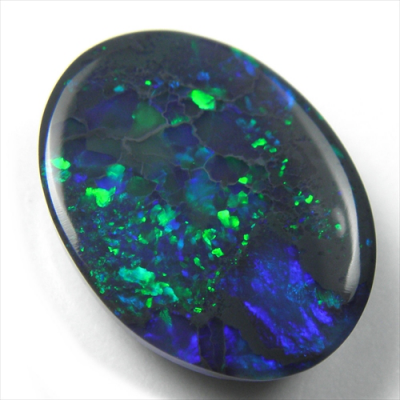 This beautiful, natural black opal shows a unique pattern, almost pinfire pattern but not quite ... Is shows a little bit of black potch in the surface but when it's turning around, vivid green flash will appear between some spotted potch, just amazing & interesting gem! 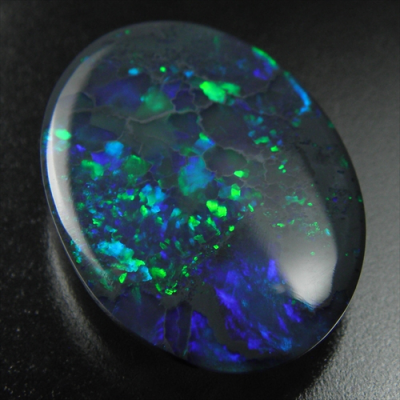 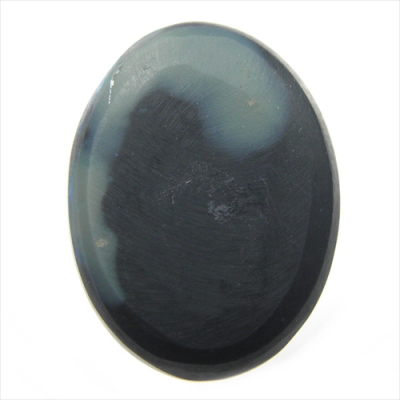 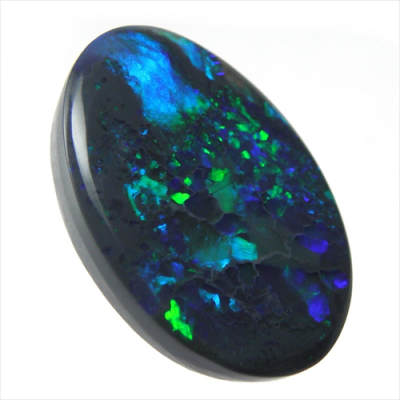 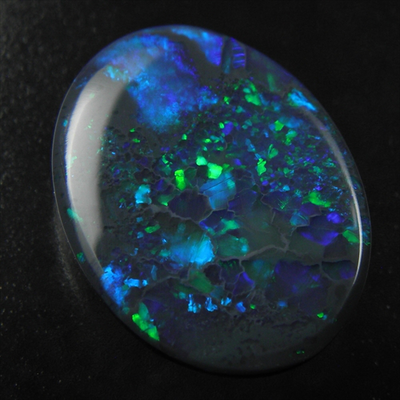 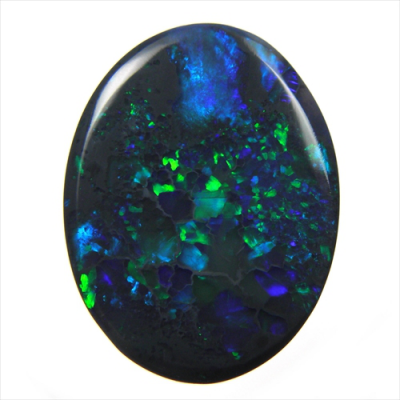 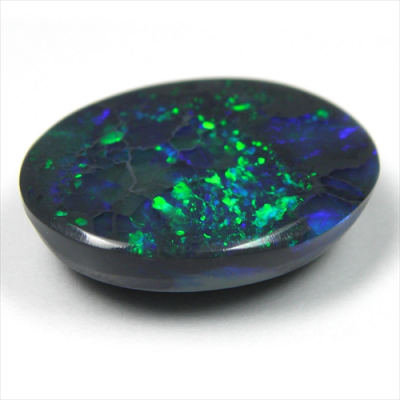 Great size and shape, you'll love this black opal, guaranteed.